British director Simon Curtis was in Chicago to promote his film Goodbye Christopher Robin during the Chicago International Film Festival. 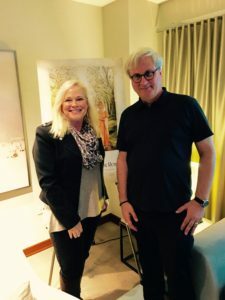 While my interview with him took place at the beautiful Park Hyatt Hotel in Chicago, it was also fitting that we took a photo together as this was the third time I’d interviewed him over the past six years. He’s a great director and no stranger to recreating historical films as with Goodbye Christopher Robin. 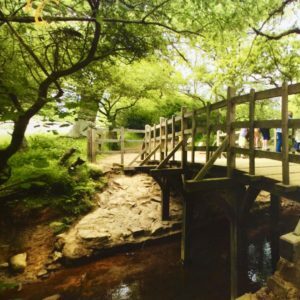 I was also anxious to talk with him about the setting in England as I had just visited Pooh Corner and the Hundred Acre Woods in Hartfield, England. Sarah Knight Adamson: You’ve given the world the back-story to our beloved Winnie the Pooh and Christopher Robin, as well as the author. What drew you to the script? Simon Curtis: Well that, first of all, and then beyond that, the script seemed to be about so many rich and important things. 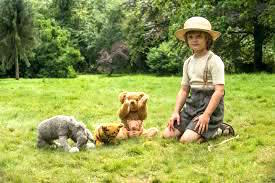 Mostly the subject, very important to me, family, but also creation and the child celebrity, Christopher Robin, was almost like the first famous child. Also, it tells the story about how England was living in the shadow of World War I, and that had a huge impact on Milne, and it was a big part of the creation of the stories. SKA: Absolutely. The film takes place in East Sussex, England near the Hundred Acre Woods in the story. 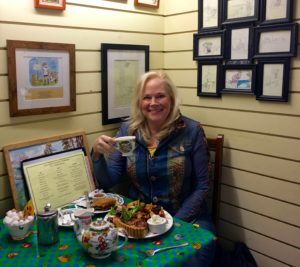 I was just there a week ago, October 3rd, visiting Pooh Corner Tea Room. Did you go to the tea room while you were filming? 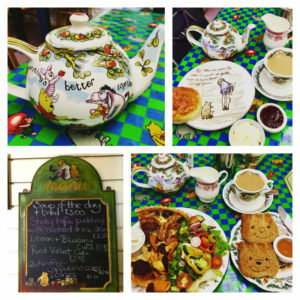 SC: I didn’t go to the tea room, but we only were actually a few days in the real hundred acre woods. That rock they sit on at the end actually has a block on it dedicated to A.A. Milne. SKA: Yes, I was there. Julie Ashby and her sister run the shop now, and they gave me a map to the woods. It’s wonderful. 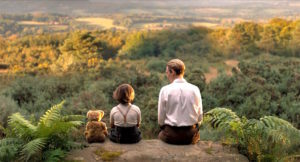 I stayed there a little bit and talked with them, and they did tell me that, as a child, Christopher Robin went there with his nanny for sweets. SKA: Yeah, and they told me that the sweet that he likes were bull’s eyes. I’ve never heard of them. But they had them there. 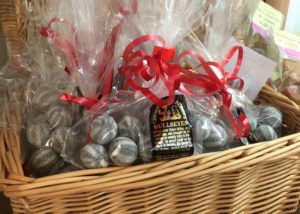 Bullseye Candy that Christopher Robin loved to eat while visiting the Candy Shop with his nanny. SKA: As a former teacher of nine and ten-year-olds for 20 years, I love the fact that your film serves as a role-model for parents, and how to play creatively. You know, we don’t see too much of that nowadays with the iPads, with everything that’s going on. SKA: Oh I know. You don’t, and what I loved about that particular aspect of the film was that the play actually healed the author with his post-traumatic stress syndrome. 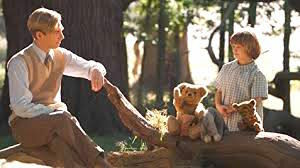 SKA: Will Tilston the role of Christopher Robin. Oh my, he was just perfect. 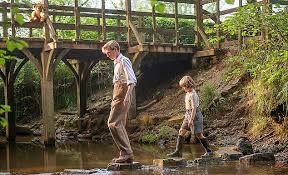 I felt like Christopher Robin had jumped off the page of the book, and now he’s in the movie. SKA: Yeah. Seriously, his play looked real. Could you speak to that? SC: It was never a sense of an act or pretending to play. He just played. And he’s a fantastic actor, and a fantastic boy. We were very lucky to find him. SC: In this film, it’s be careful working with a kid and stuffed animals. SKA: Yes, there’s a double whammy going. Yeah, but no he didn’t steal the scenes, but he was so wonderful. You were so fortunate, I believe. I bet you couldn’t believe it. SC: No, I couldn’t. 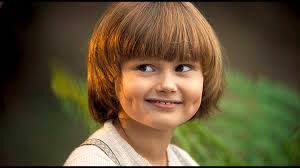 But the last time I cast a nine-year-old boy who’d never acted before do you know who that was? SKA: Wow. We know where he’s gone. SKA: Well, you’re such a great director. I read that you really did help him [Will Tilston] too. Can you talk about the setting during the time of a typical wealthy London family? Daphne Milne, (Margot Robbie) Christopher Robin’s (Will Tilston) mom. SC: Yeah, I mean, I think the parents to modernize seemed quite remote and distant, but they were very much the type of parents of that class of that time. It was quite natural for them to hand a brand new baby over to a nanny, and then to disappear to Italy for six weeks or what have you. Kelly McDonald, Christopher Robin’s nanny. SKA: Exactly, and I think it was said at the time that Christopher Robin had only spent a couple hours with his mum during the day. SC: Yeah. That’s exactly right, but that was very typical of the times. SKA: Yes. What I did appreciate was Margot Robbie’s amazing acting in this film because we’ve seen her in so many different types of films that were nowhere near this. SKA: I felt she had the warmth. She had the nurturing. She was just fantastic. What do you think her perspective was towards the role and playing it? SC: I think she is super talented and incredibly bright, and just loved playing that version of a mother. SKA: Sure, sure. Well, as I say, she was great for casting. 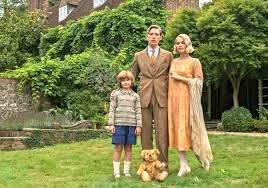 The title Goodbye Christopher Robin what does that suggest? SC: I think to me its got lots of meanings in the film, which I don’t want to give away, but mostly it’s about saying goodbye to childhood, and in this case it’s about Christopher being allowed to grow up, and not be known as Christopher Robin wherever he went. SKA: What a story. I mean I had no idea that he had trouble later in life, and that goes into my next question with the child celebrity, and the fame that was really unwanted. SC: Yeah, but to be fair to the parents they couldn’t have predicted the stories would become so popular. SC: And they certainly couldn’t have predicted that the focus would be so much on the boy because that was uncharted territory. There’d never been a child celebrity before. New celebrity status for the A.A. Milne family. SKA: Right. I loved Kelly Macdonald’s performance as the nanny, as they played such an important role in a child’s life. SC: Yeah, I mean in the Royal Family now, and for a whole generation of Englishmen their greatest love was their nanny. SKA: Yeah, I love her acting when the press showed up, and she just went into protection mode. SKA: What age do you suggest that children should see this film? SKA: Great. I think that’s perfect. Yeah, and the war. You’ve depicted war before in your other films. SC: Yeah, but this is very fragmentary. SKA: Yeah, and was that done purposely? SC: Yes. We thought we might have more of it in the film, but we realized we didn’t need to when we were cutting it. SKA: I’m just curious because you depict, I believe, it so realistic. 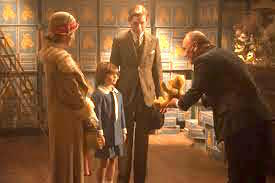 I mean the Woman in Gold. Those scenes were incredible of those times. I know that’s very laborious recreating that, and to have to cut that and not show a lot of that. Were you looking for a different tone for the film? Were you looking to play it down? I’m just curious. SC: Well, we just wanted to make the impact that was in his head, in Milne’s head. So I think we do that quite cleverly. SKA: Sure, yes. I believe you did. What would you like for your viewers to take away from this film? SC: I think enjoy and have the pleasure of seeing these beautiful stories created. So when the tiger is given the name Tigger, or Eeyore was mention, even here was like a sigh of pleasure in the audience. And also that thing of just put those phones down, and play with your kids while they are around. 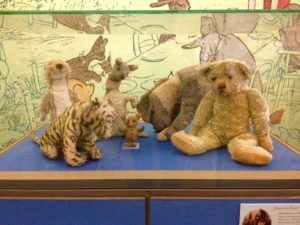 Winnie the Pooh and friends were donated to the New York Public Library by the publisher of the Winnie the Pooh books. SKA: Yes, and filming on the actual rock. The folks at the tea room said, “You must go up there to see the view.” How did that really add to the film? SC: I think the view is fantastic. Very English. It’s no Grand Canyon, but it is an amazing English view. SKA: Yes. I would imagine that would be difficult because they told me I would get pretty muddy going up there. I would imagine that would be difficult getting all the equipment and everything up there. SC: Yeah, I wasn’t popular with the crew for making them go up there. SKA: Well, I’ll tell you I gasped when you finally showed us the wide shot. I want to thank you for speaking with me and best of luck with the film! Author’s note, Simon Curtis did tell me that he’s probably the only ‘Brit’ who doesn’t drink tea, when he was asked about what tea he drinks.